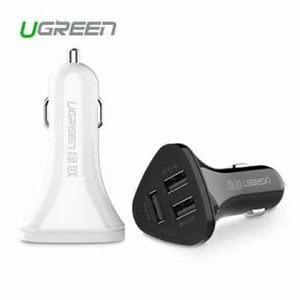 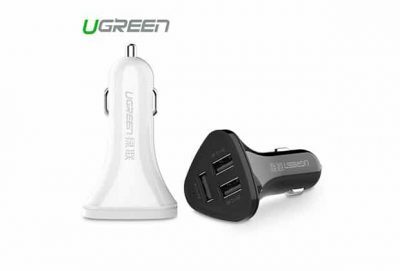 Ugreen 40284 29W 3 Port USB Car Charger offers a convenient way to charge up to 3 digital devices simultaneously at full speed. 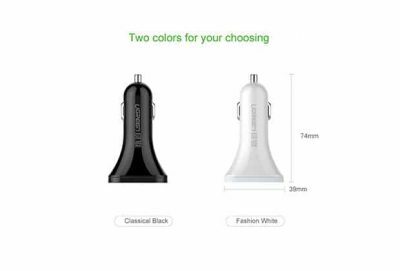 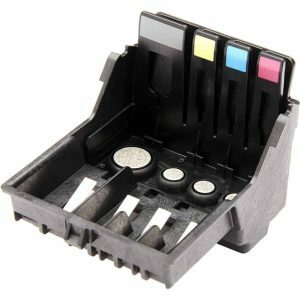 It is suitable for most of smart digital devices and designed with reliable protection against overvoltage, overheated, overcurrent and short circuit. 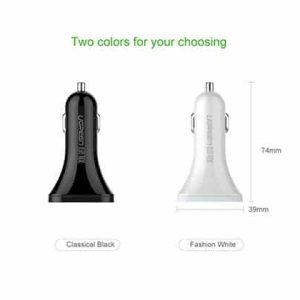 Perfect for your happy travel. 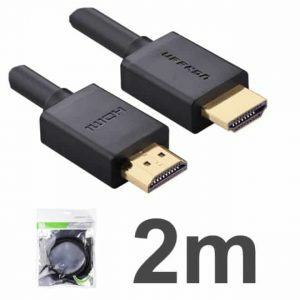 Connectors: USB 2.0 Type A Malex1, Reversible USB Type C Male x1. 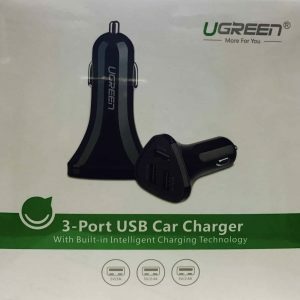 Support data transfer speed up to 480Mbps; 3. connect you latest smartphones, tablets and any other upcoming devices with a USB type C connector to a host computer, wall charger, or external battery power bank with USB 2.0 or 3.0; 4. Support USB Type-C current up to 5V/3A.